Welcome back to another edition of FishbowlNY’s weekly Cover Battle. This round we have GQ taking on The Atlantic. We chose GQ this week because well, we’re just going to be honest: we love that flower necklace. Such craftsmanship! Such beauty! We could stare at that necklace all day. This is actually one of three Atlantic covers this week. But we chose this one because this is how we like to think our brains look. All lit up with activity; not dull and dark like our seventh grade math teacher said. 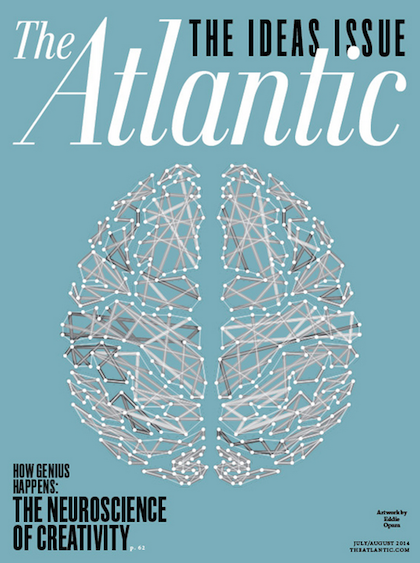 Which Cover is Better, GQ or The Atlantic?